Most people’s biggest fear about growing old is not being able to do simple things for ourselves, like walking, going to the bathroom and brushing our teeth. So when we’re not able to do these things for ourselves, will there be somebody to do it for us? 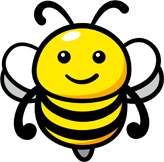 For these old ladies they have stellar husbands stepping up to the task. Twitter went wild recently for a post shared by an employee at a department store when they posted a picture of an elderly couple who had come in to store. The old lady had a full face of make up, perfectly put together, but it wasn’t the store’s make up artists who had done it. It was her husband’s handiwork. 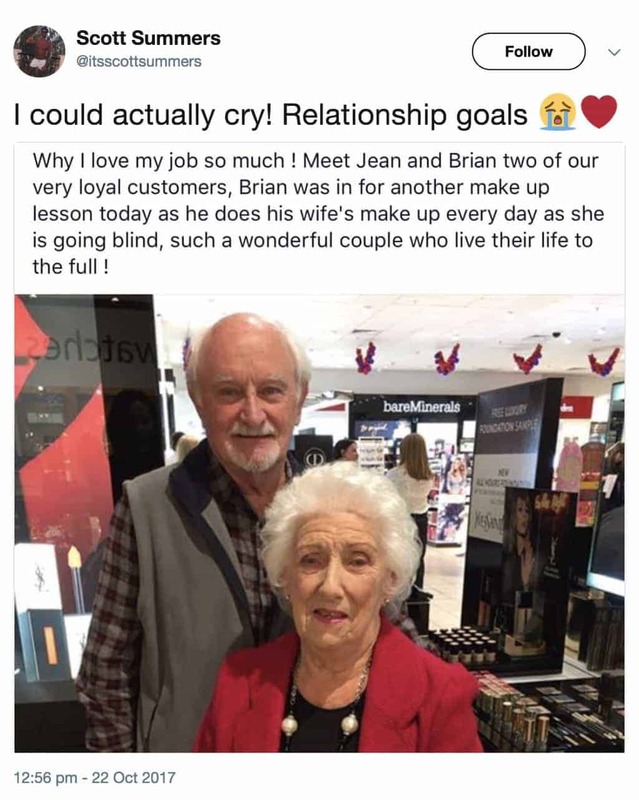 Brian comes into store every day to practice his make up skills on his wife. His wife is gradually going blind, so Brian is making sure that he can still make her look fabulous even when she loses her eyesight completely. I mean, how adorable, right? This couple’s sweet daily task is as stated, ‘relationship goals’, and we all hope that we have a partner who will take care of us like this in our harder times. But it’s not the first time the internet has shown us how much a husband can rise to the challenge of care when his wife falls ill. In an anonymous video online, an elderly man combs the hair of his poorly wife in hospital, ensuring that she will look fresh when she eventually wakes up. The sweet video is so emotional and is another reminder that love doesn’t fade with time, it only grows stronger. Hopefully we can all learn by these men’s examples by practicing caring for our loved ones now, no matter what our age is.